A college professor at the Mariano Marcos State University in Laoag City, Philippines took the REC herself. Now she is conducting anti-rabies campaign seminars with education students during their biology classes. These students will then go on to conduct information campaigns as part of their school activities, and can include rabies awareness as one of their topics. 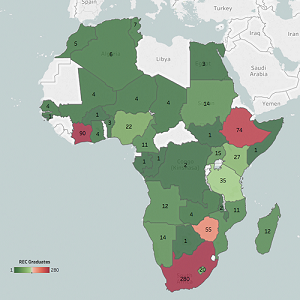 The University of Pretoria (UP) Onderstepoort Veterinary Faculty has integrated the REC into their veterinarian-training coursework, including the resource in their community engagement module. Now, almost 200 students a year will complete to course and be able to raise awareness about rabies as they practice. The US Centres for Disease Control and Prevention (CDC in Phnom Penh, Cambodia) used the REC to provide background information on rabies during their Applied Epidemiological Training program with support to translate the course into Khmer. 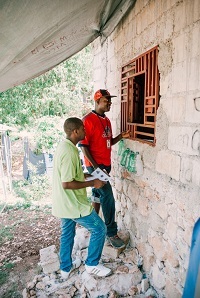 The US Centers for Disease Control and Prevention (CDC) in Port-Au-Prince, Haiti used the REC to provide background information to all of their field investigators. To date, the REC-trained investigators have educated an estimated 44 000 people in three departments of the country: Artibonite, Centre and Ouest departments. previous page: The importance of consistent and even vaccination coverage.